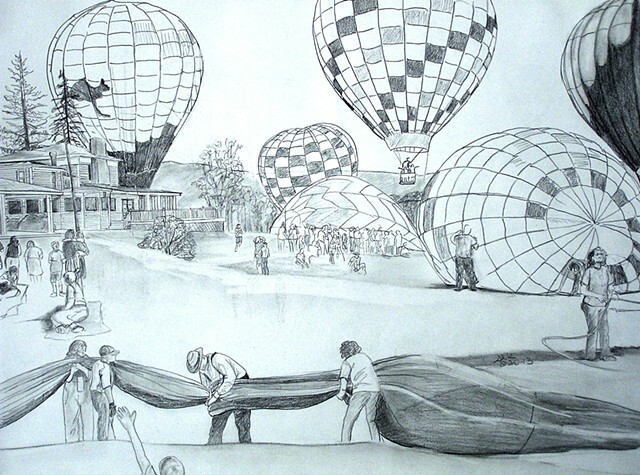 This is the conceptual drawing for the Official Great Wellsville Balloon Rally 2013 Painting. Reprints of the final painting are on the Official 2013 Posters and T-Shirts. The original painting was auctioned during Balloon Rally Weekend Events July 2013.